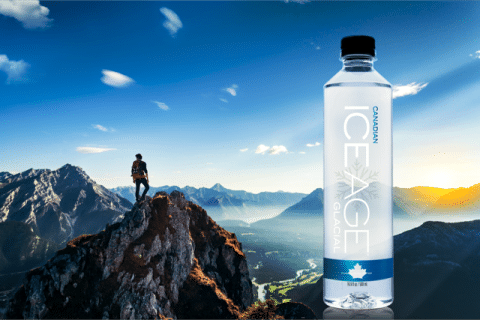 Ice Age Glacial Expands from Canada to the U.S.
TOBA INLET, British Columbia— Ice Age Glacial, an ultra-pure water sourced from ancient glaciers within the Coast Mountains of British Columbia, has debuted in select U.S. markets, in addition to its existing distribution in Canada. 1.6 million years ago during the beginning of the last Ice Age, vast parts of Canada were covered by glaciers. Today, despite that the last Ice Age ended nearly 10,000 years ago, many mountains still rise to heavily glaciated peaks across Canada, including the largest temperature-latitude ice fields in the world. Pure glacial water sources are very rare. 200 kilometers Northwest of Vancouver in the Coast Mountains of British Columbia, the ancient ice fields of the Toba Inlet form the source of Ice Age Glacial water. Natural glacial water of unmatched purity is collected as it naturally melts and flows from the edges of the towering and ancient glaciers in the Toba Inlet deep in the Coast Mountains of British Columbia; land protected by government and secluded in nature, shielded from civilization and industry. As the water falls, it is collected, which results in naturally pure glacial water with a low mineral content, yet still containing rare minerals only found in ancient glaciers. Capturing the water before it falls into the ocean allows consumers to enjoy the pure glacial taste without disrupting the water table. Ice Age’s natural glacial water is then transported to a nearby zero waste, cutting-edge bottling facility that follows the strict guidelines of both Health Canada and the FDA. Ice Age Glacial is available in two different varieties. Its signature is an ultra-pure still water, bottled for a taste of a world untouched since the last Ice Age. 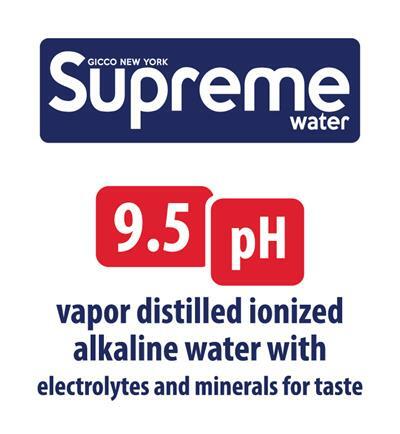 The other variety is Ice Age 9.5 (pH), a premium high alkaline glacial water infused with minerals and electrolytes, made to enhance hydration and replenishment. Both varieties of Ice Age Glacial are now available in BPA Free Plastic (350ml, 500ml, 750ml and 1L). Ice Age is available on shelves in health food and grocery stores in select markets across North America and nationwide on Amazon.com. For more information, please visit www.iceageglacial.com.